This combo of a black and white horizontal striped long sleeve t-shirt and a yellow pencil skirt is very easy to create and so comfortable to wear all day long as well! Our favorite of a ton of ways to round off this outfit is Vince Camuto Talise Pointy Toe Pump from Nordstrom. Go for a black leather biker jacket and a red pleated midi skirt to achieve a chic look. Finishing with Vince Camuto Talise Pointy Toe Pump is a fail-safe way to bring a little fanciness to your ensemble. If you're obsessed with relaxed dressing when it comes to fashion, you'll love this uber cute pairing of a black and white print crew-neck sweater and light blue ripped boyfriend jeans. Amp up the cool of your look by wearing Vince Camuto talise pointy toe pump. This relaxed casual pairing of a red knit turtleneck and a white tulle full skirt is a goofproof option when you need to look stylish but have no extra time to dress up. Vince Camuto Talise Pointy Toe Pump are guaranteed to give an extra touch of style to your outfit. The styling capabilities of a white plaid coat and navy skinny jeans ensure you'll have them on heavy rotation in your closet. Want to go all out on the shoe front? Add a pair of Vince Camuto Talise Pointy Toe Pump from Nordstrom to the mix. A black coat and a white dress shirt make for the perfect base for an infinite number of modern work-appropriate looks. The whole ensemble comes together when you introduce Vince Camuto Talise Pointy Toe Pump to the equation. This off-duty combination of a tan leather biker jacket and black skinny jeans is super easy to pull together in seconds time, helping you look chic and ready for anything without spending a ton of time searching through your closet. 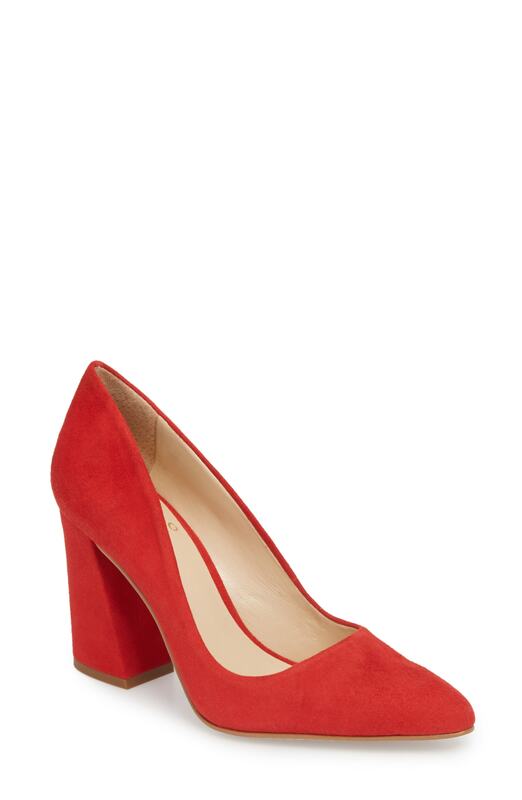 A pair of Vince Camuto red suede pumps easily boosts the wow factor of your look. Reach for a purple off shoulder dress if you're on the hunt for a look option that is all about relaxed casual chic. You can go down a classier route with footwear by rounding off with a pair of Vince Camuto red suede pumps. This is solid proof that a black crew-neck t-shirt and a black leather full skirt are amazing when paired together in a relaxed outfit. If you want to effortlesslly dial up this look with shoes, introduce Vince Camuto Talise Pointy Toe Pump from Nordstrom to the mix.